And the Oscar goes to .......... Casey Affleck, Manchester by the Sea. 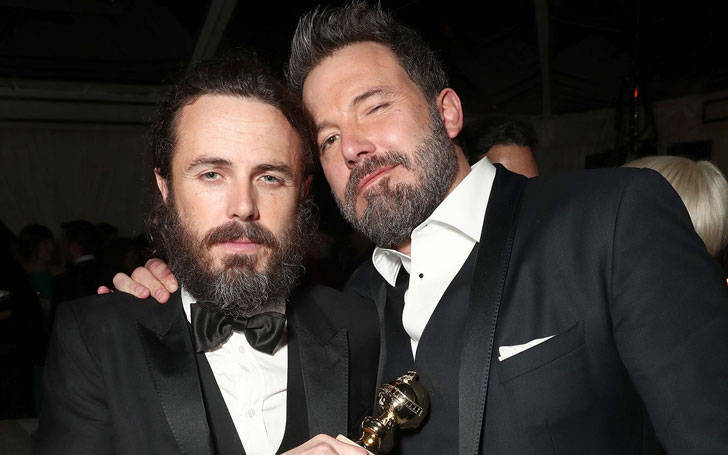 Who would have thought that two times oscar winner Ben Affleck's ordinary brother Casey Affleck who has featured in only a few movies will win the title of Best Actor in Academy Awards? Yes, Casey won the title prize for his excellent performance in Manchester By the Sea. Obviously, Casey was extremely happy but not as his elder brother Ben who was over the moon and showed his affection with an adorable embrace as his little brother blushed. Not only Oscar, Casey earned a huge bear hug from fellow Oscar winner Ben. On Sunday, 27th February 2017, 89th Academy Awards or Oscar 2017 was held in Dolby Theatre. For an actor in a leading role, Casey Affleck along with other talented actors, Denzel Washington, Ryan Gosling, Andrew Garfield and Viggo Mortensen were the nominees. Beating over all the other nominees, Casey Affleck took home the Oscar. It was his second Oscar nomination. Affleck's breakthrough was in 2007 when he was nominated for the Best Supporting Actor for his performance in the Western drama The Assassination of Jesse James by the Coward Robert Ford. Parents of two children, Ryan Gosling and girlfriend Eva Mendes living together for five years. 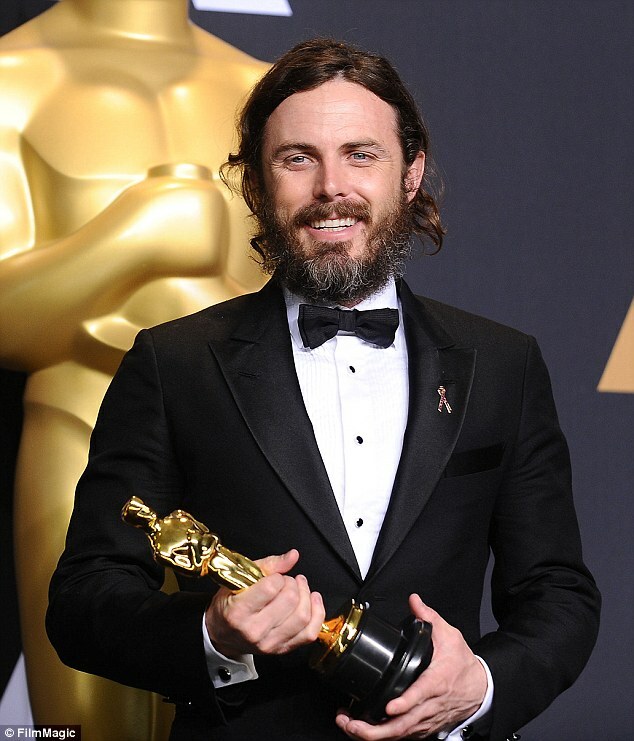 Casey Affleck joins in the category of Oscar winners after he grabbed his first Oscar Award for Manchester by the Sea. Most of the people admired his performance but with all the praise they also showed their hatred towards Casey. People reminded that Casey was accused of sexual harassment by multiple women and that he shouldn't win the prestigious award. Casey's Oscar win may not have gone well with all viewers, but it did mean the world to one person in particular and that's none other than his brother Ben Affleck. During Casey's childhood, his father was "a disaster of a drinker." Following his Parents' divorce when he was nine, Ben was the only supporter to Casey. Ben himself is the two times Oscar winner (it must run in the blood) and was remarkably happy on the win of his beloved brother Casey. After Casey's name was announced as the winner, Ben jumped up from his seat and rushed to embrace his sibling. Ben congratulates Casey with a kiss in his neck, the brotherly love showed by Ben reflects the strong bond between the brothers. "Ben, I love you. You ain't heavy." Must Read: Ariadna Gil and Viggo Mortensen relationship status. Are they still together? Must Read: Who is Young Viggo Mortensen married with? How successful is Young's earning? "One of the first people who taught me how to act was Denzel Washington, and I just met him tonight for the first time,"
"Thank you. And to all the other nominees, you did great work. I'm proud to be in your company. You guys are very brave and I admire what you do." With the first Oscar Award in his hand, Casey gave credit to his director and writer Kenneth Lonergan and thanked him for the role in the movie. Want to know more about actor Ben Affleck? Violet Affleck: daughter of Ben Affleck.